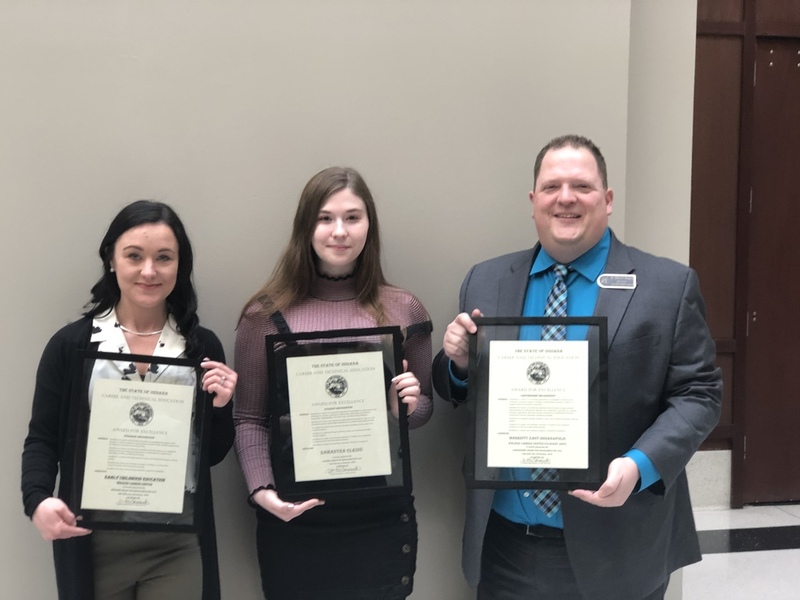 On Tuesday, February 26, 2019, the Walker Career Center was recognized at the Indiana Career & Technical Education Awards for Excellence Ceremony. The Walker Career Center was recognized for student excellence, secondary program excellence, and partnership excellence. Congratulations to Samantha Elkins, Lynis Neyland, Marriott East Indianapolis, Dr. Rogers and Walker Career staff. Samantha Elkins was recognized for her outstanding performance in the Architectural Drafting program at the Walker Career Center. Samantha is currently an intern at a fire and safety company where she uses AutoCad to design fire protection plans. Samantha plans on attending Ball State University and major in their CAP program. Mrs. Lynsi Neyland and the Walker Career Center’s Early Childhood Education program was recognized for their excellent partnership with the Warren Early Childhood Center and the opportunities provided to students who have an interest in Early Childhood or teaching. This program is a two year program and students can acquire dual credits through Ivy Tech and earn their Child Development Associate Credentials. This is a program that benefits our youngest and oldest students. Marriott East Indianapolis is a valuable partner to the Walker Career Center and students in our Culinary Arts program. Students are given opportunities to participate in work-based learning, part-time and full-time employment mentoring for ProStart competition, job shadowing, and site visits. The Marriott East Indianapolis is also a member of the WCC Culinary Arts Advisory Board, and provides beneficial information from current industry standards that can be used for instruction to improve the employability skills of the incoming workforce.